By now, I have done quite a nice amount of interviews with some of the most awesome people in tech. You can see a partial list here. All of the people I was fortunate enough to interview have had an effect in one way or another on my career as a content and marketing guy. 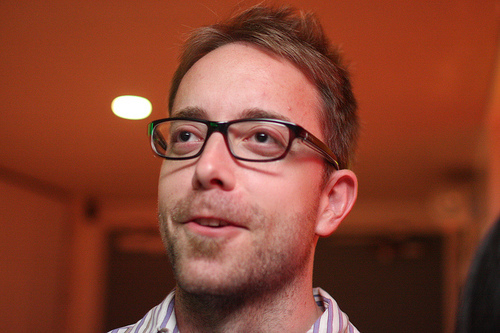 However, MG Siegler leads the pack for me. He is one of the main writers/journalists on TechCrunch, which is widely accepted as the Web’s top authority on tech and startups, but that is not why I am such a fan. As a tech writer in my previous life, I understand that what makes a good writer is not the ability to use words that only he/she understands. The really talented writers can cover a topic like Apple tracking your location data (loved this post) or the need for an iPad Facebook app based on extensive market research, and make it interesting to both geeks and complete non-techies. The ability to simplify even the most complex and technical topic in an interesting and down to earth way, not many people can do that. MG is the master of this. While many other online publications take themselves way too seriously, MG covers the same topics but does it with the perfect amount of humor, while not compromising on the depth of the material. I read his posts daily and no matter what the topic is, I always seem to enjoy them. The man is talented. It was for this reason that I wanted to interview MG and despite his insane schedule (he answered these questions at 4AM one night two months after I sent them), he found the time to answer my questions once again, with typical MG style. 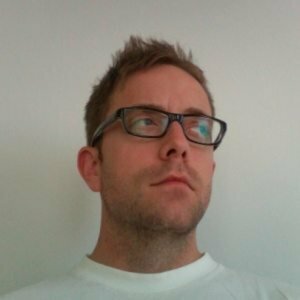 1: Who is MG Siegler? Please tell me a little bit about your personal and professional background and how you ended up here. I was born in Ohio and went to school in Michigan. Once I graduated, I moved out to Los Angeles to get a job in Hollywood — which I eventually did. I did a bunch of different things there ranging from set PA to script reader. Eventually, I moved on to San Diego where I was doing web development (front end) for a company down there. I had always been writing on the side but it was during the web development time that I really started to merge the writing and the tech, taking blogging more seriously. Eventually, VentureBeat found me this way. And from there it was off to TechCrunch. 2: Let’s just jump right in. Some say the TechCrunch acquisition was a sell out. Why was the AOL deal good for TechCrunch and its readers? It was good because it gave us a much broader range of resources that we didn’t have before. TechCrunch was always a solid business, but we had never raised money so we didn’t have a ton to spend prior to the acquisition. Now we have some resources and we’re in the process of figuring out how best to allocate them. You’ll start seeing some of this come to fruition soon, I think. Overall though, AOL has been very good about not tampering with the TechCrunch writing staff. Heather (our CEO) does a good job keeping us far removed from whatever is going on on the AOL side of things, so it really has been business as usual. 3: From an AOL employee’s perspective, how does AOL justify such a high price tag for the Huffington Post when the site’s revenues are not that high? Without knowing the specifics, it would seem that the deal was right in line with what AOL is trying to build up: content that is both recognizable and can scale. I have no clue what HuffPo revenues were/are, but there was talk for a while of them IPOing and their growth has been massive. 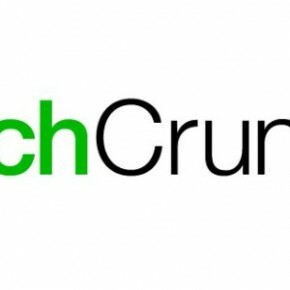 4: TechCrunch is obviously one of the most popular and globally read tech blogs. It is also well known for its policies on embargoes and not keeping them. Is this a strategic thing and why? Ha. The policy is always a fun topic of conversation. It really is more like: there isn’t one. Sometimes we do embargoes, sometimes we don’t. I personally hate them (possibly even more than Mike does) but I will agree to them every once in a while if I’m absolutely sure they’ll hold. That’s really the issue: they almost NEVER hold. Only companies that have consequences for breaking them are even worth listening to at this point. On a higher level, I don’t like the idea of them because it feels like the PR industry trying to control us. I appreciate that they have a job to do, but I hate being told when I can or cannot write something. I like to be out in the wild, hunting and working on the fly. 5: You are widely regarded as the Web’s largest Apple fanboy. Having said that, Android seems to be growing faster than iOS in terms of market share. Is Apple in trouble and why? If trouble is being the most valuable and profitable tech company, then yes. BIG trouble. The market share thing was always a bogus argument. You’re talking about one phone competing with dozens and soon hundreds of phones — none of which Google actually makes. The fact that it took Android as long as it did to pass the iPhone in market share is actually surprising. Having said all that, I do think competition is important. I think Apple and Google both being successful will ensure the other remains in check — and the consumers will win as a result. 6: What are some of the major trends we will see in mobile in the coming year? Payments. Big time. It will take some time for NFC to really get off the ground, but it’s already starting with the Nexus S including the chips. This will continue and Google will be shipping readers to vendors. Square also seems to be ramping up nicely. Credit Cards are still going to be around for a long time, and they’re doing some interesting things to disrupt the payment dynamic. I also certainly wouldn’t rule out Facebook for doing something with Credits in the mobile space. 7: What are your thoughts on the Nokia Microsoft partnership? Do these two companies stand a chance against Apple and Google? I think it’s an interesting question if they can get new hardware out soon. If not, I think it’s probably too late — at least in the U.S. market where Nokia has never done well anyway. I like Windows Phone, but Microsoft has had some major execution issues as of late. I still suspect we may eventually see Microsoft buying RIM as well. 8: Talk to me about HP and Palm. Will they be around in five years? They definitely will be. HP is way too big to go away anytime soon. And they still make a lot of good products. I’m interested to see how their tablet turns out. I’ve always liked webOS, I just hated Palm’s hardware. Now they have a company behind them that can make better hardware — or at least is capable of it. We’ll see. But I actually think HP/Palm might be more interesting than Nokia/Microsoft for at least the next couple of years. 9: If you could give Apple one pointer of how to improve iOS, what would it be? 10: What tip would you give new entrepreneurs who are starting a business whether it be a mobile startup or a new blog? Read as many things as you can, talk to as many people as you can. It’s all about information flow on both sides of the equation. That and don’t sleep. Thanks again MG, I have to admit, I knew what you were going to answer to some of the questions (notifications), but some definitely surprised me like your tip to new entrepreneurs… Appreciate your time, and please, for the sake of my entertainment (and staying up to date), keep up the good work! And also agree with him on the Microsoft buying RIM. Totally see it!